You'd be right in thinking that there are a few more than 6 products here. But rather than talking about each individual Collection Primer I thought I'd group them all together. But more about those later. Today I have a disappointing products post for you. I like these kinds of post, and I actually really like talking about why I didn't like a product. I Picked these primers up when they first launched, as I was so impressed by their new palettes. There are 3 face primers and an eye primer in the range. But in this post I'm, only going to talk about the face primers. There is Cool rose toned primer, to illuminate the complexion for those with warmer skin tones. An apricot toned one to do the same thing for cooler skin tones. And finally a Matifying primer for those with oily skin. In short, these are rubbish. They are dirt cheap and for good reason, I think. Both the Illuminating primers, blended out to nothing. They didn't even leave me with the subtlest of glows, they didn't prolong makeup wear, nor did they stop my foundation drying out. The matifying one, did the same thing, only it was slightly more silicone-y in texture. I really like Collection as a whole and I think its great that they bring effective affordable products to the market, however, they have failed in terms of these primers. The way everyone was banging on about this foundation, I thought it was going to be like winning the lottery of foundations. It was being described as having an air brush effect, looking flawless, being undectable. Now, don't get me wrong I don't hate this foundation, but I don't love it either. Its just an average foundation, it doesn't give an air brushed effect and I can tell I'm wearing foundation. So at 29 pound a bottle for average foundation, its definitely more than I want to pay. I believe Cheryl Cole (or whatever her name is these days) is a massive fan of this, and hair like Cheryls? Count me in. With promises of moisture, manageability and shine. this sounds right up my street. I followed the instruction to the t - apply a small amount to damp hair, working from the roots down. Unfortunately, this didn't leave my hair looking remotely like Cheryls. It weighed my hair down, leaving in greasey in the mid lengths, and so dry on the ends. I even had to re wash my hair because it looked so gross! I have naturally, thick, dry frizzy hair so normally my hair can take this kind of stuff. Disappointed to say the least! When I like a foundation, I want to try the matching concealer, powder etc. And I loooove the Ex1 one foundation, you can read all about here. So I picked the concealer. For me the main issues are I want to conceal are my dark circles. And this didn't do that all. Its so thick and difficult to blend, but when it does, it blends out to such a light coverage. Its also creased like crazy on me. I heard this is a foundation Kylie Jenners Makeup artist uses. Love kylie or hate her, you cant deny she looks flawless most of the time. And this foundation is around £10, depending on where you buy it. So it was no brainer, I had to buy. To be honest though, I should have saved my money! Straight after applying this, it did look great and I was impressed. But an hour later, no lie, I looked like a melting wax doll! I don't have oily skin but this left me so shiny and had like separated on my skin. I never experienced anything like this with a foundation before! I wonder if this has actually been used on Kylie! I spoke about this recently in my Battle of the Glow Tonics post. As it promises to the same thing as my much loved Pixi Glow Tonic, for a fraction of the price. Its promises to brighten and add radiance. This broke me out though and left me red blotchy skin! 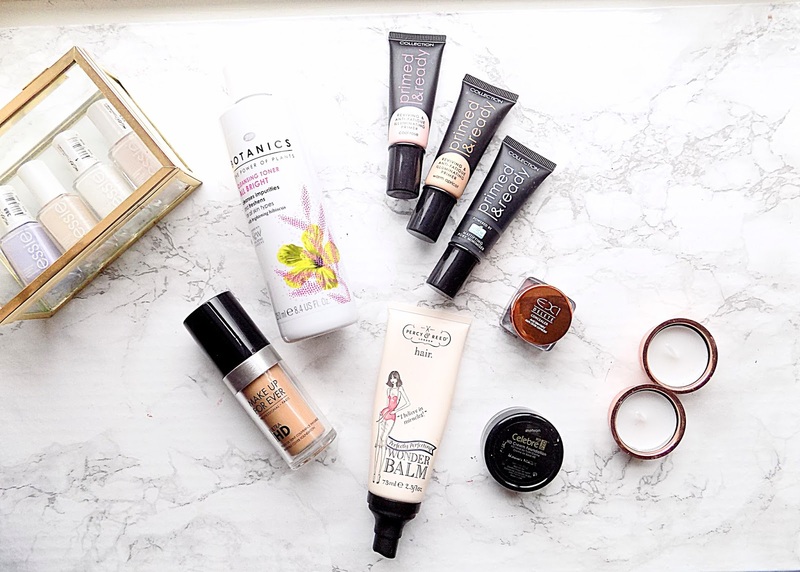 Which I was very disappointed about as I love Botanics as a whole and think they have some great affordable products! Have you tried any these? What are your disappointing products?